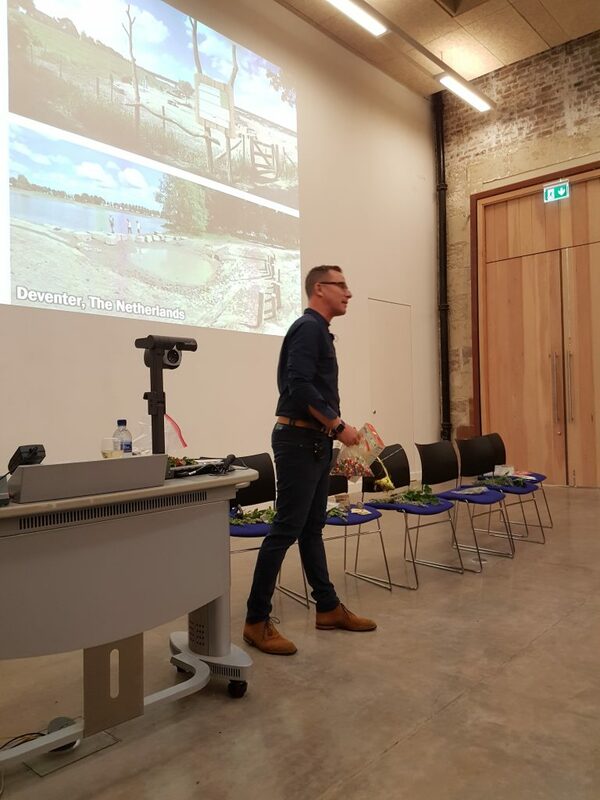 We were lucky enough to have the Landscape President, Adam White, in Scotland last week to give a talk – The Future of Landscape: People, Place and Nature as part of the Year of Youth. Adam’s specialty is playscape design and he emphasised his belief that most playscapes don’t make the most of thebudget and space available to them and in this way we shortchange the children that use those playscapes. He encouraged the room to think of what other words they associated with the word ‘Play’ and asked everyone to keep these words in mind if they were ever designing playscapes in future. As part of his work, Adam builds models of all his designs ahead of construction. He believes this helps keep him in touch with his inner child and so helps him design better playscapes for today’s children. Adam gave us all a reading list that he believes is essential to understanding the fundamentals of playscape design. This list included: Lost Child in the Woods by Richard Louv, Children’s Play and Playgrounds by Joe L. Frost and Barry L Klein and The Nature Fix by Florence Williams. Adam used his design of a show garden for autistic children as a case study in the importance of considering the specific needs of the people who will be using a specific playscape. He noted that when talking with autistic children to understand what they most wanted from a playscape, they focused on sensory items such as different plants and textures. 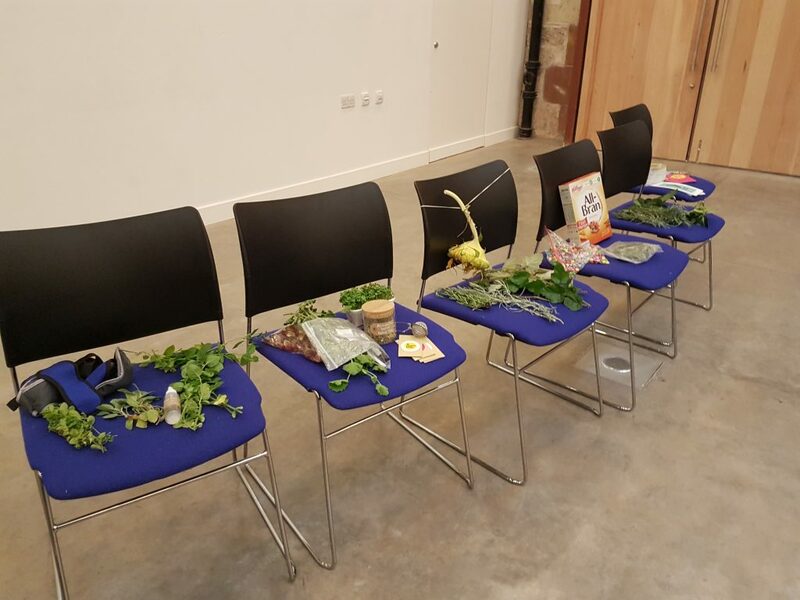 In response he designed a garden that progressed from low sensory input to high sensory input, allowing for spaces that could be enjoyed by hyper sensitive children and hypo sensitive children. 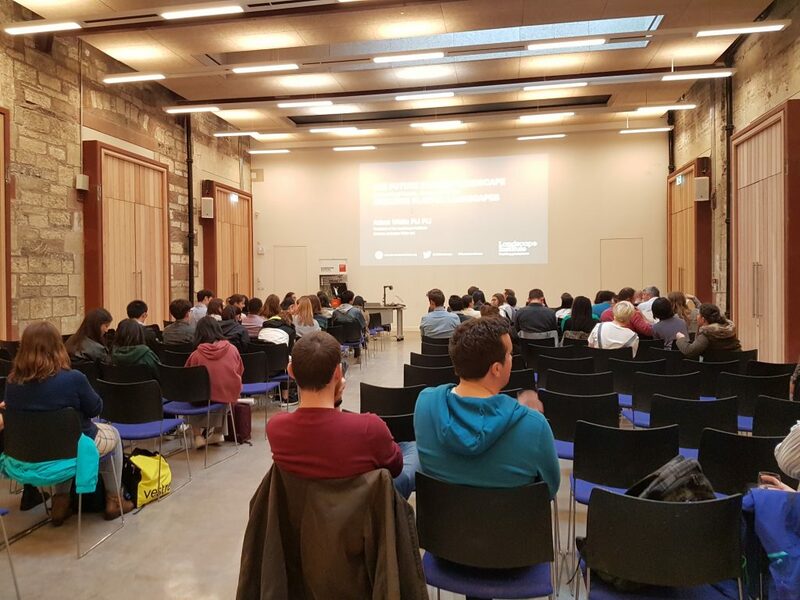 ESALA were kind enough to put us up in the West Court room and we were really thrilled to see so many students along for the evening.